Thanks to my superb in-house delivery service, I got to enjoy Healthinki's Egg and Avocado Toast without leaving my bed. Hello toast friend, it has been a while. We have been friends before but with all the fresh and vital summer food it would be insanity to live on avocados grown somewhere very far, picked raw and flown here. Well, we got snow yesterday in Helsinki. So the season of local vegetables grown in the sun is over. 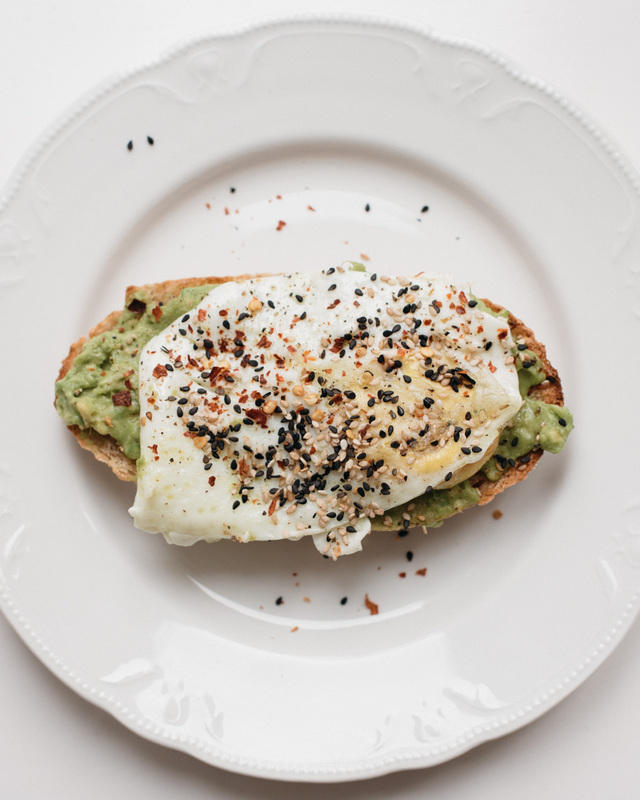 As a modern classic, avocado toast is known and served in major cities from Los Angeles to Tokyo, and each café or restaurant has their own style of making it. Toast a slice of bread. Butter it. Add ripe avocado cut in slices or cubes. Add some black pepper and salt on top – and if you want to, finish off with a little bit of freshly squeezed lemon or lime juice. Ta-da. My favorite toast in town is currently the Egg and Avocado Toast (pictured) by Healthinki, a tiny café in my neighborhood that is focused on healthy breakfast and lunch options. Along with smashed avocado and a fried egg, the toast is topped with black sesame seeds and dried chili, that gives it a nice kick. If you are like me and, when temperatures drop and daylight becomes less, feel like eating something sugary all the time, you have probably also noticed that things only get worse when you start boosting your energy levels mainly with caffeine and sugar. So the next time you start craving for sweets, try eating something real and filling instead. Avocado toast, for example. I am just now waiting to get Minutes published before I go eat mine.